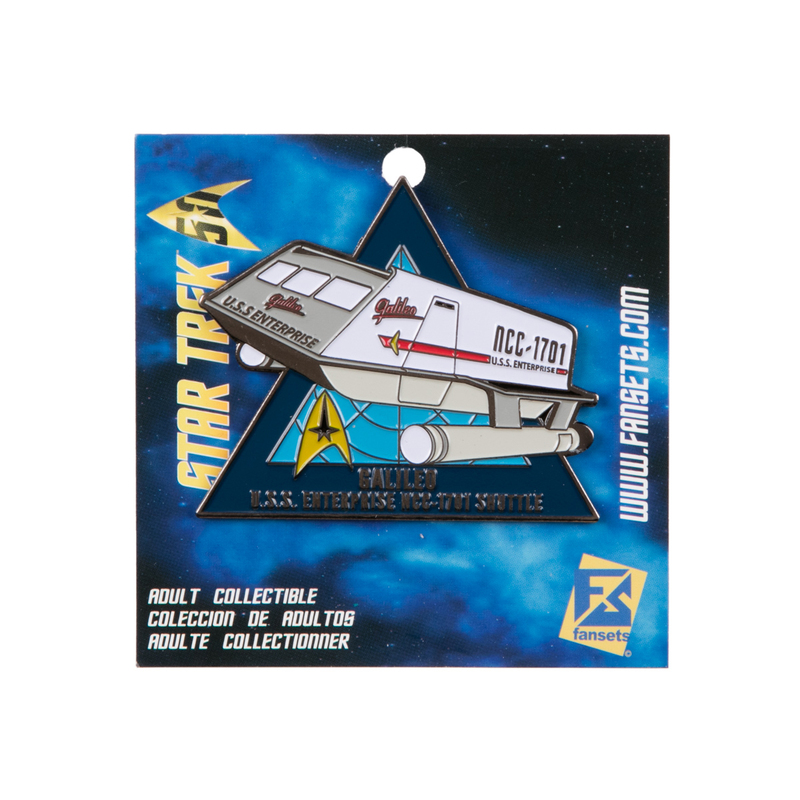 Star Trek Galileo Shuttle Collector's Pin is the perfect addition to the ultimate fans collection. The pin features the F Class shuttlecraft from "The Galileo Seven". The Galileo Shuttle Collector's pin is a beautiful commemorative of Star Trek TOS! Not only is the episode "The Galileo Seven" one of my favorites (along with "Balance of Terror" and "The Doomsday Machine"! ), but the pin renders the shuttlecraft faithfully and in a magnificent pose! Well Done!! !